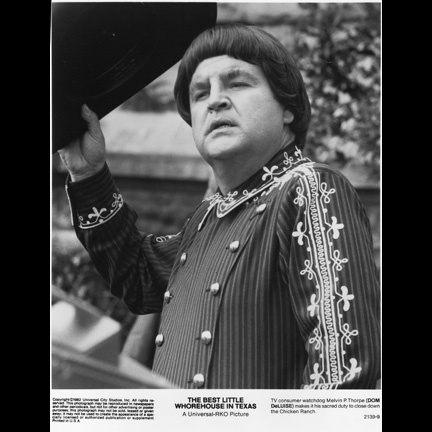 This western costume was worn by the character "Melvin P. Thorpe," portrayed by actor Dom Deluise, in the 1982 comedy musical, "The Best Little Whorehouse in Texas." 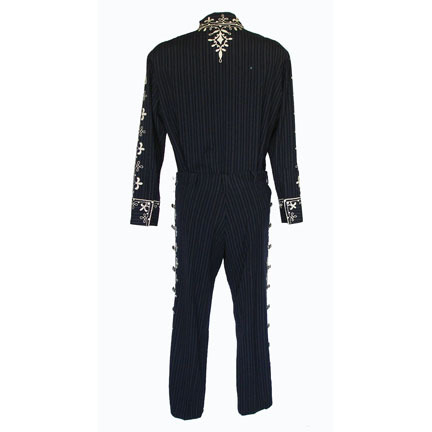 The dark blue vertically striped 2 pc. 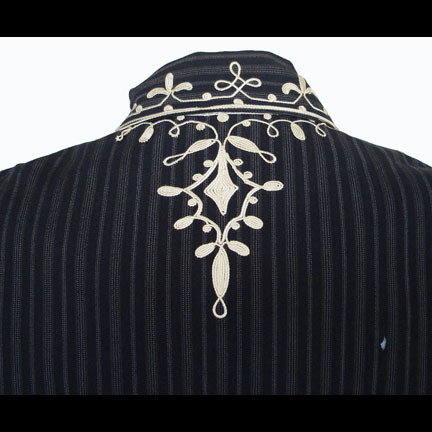 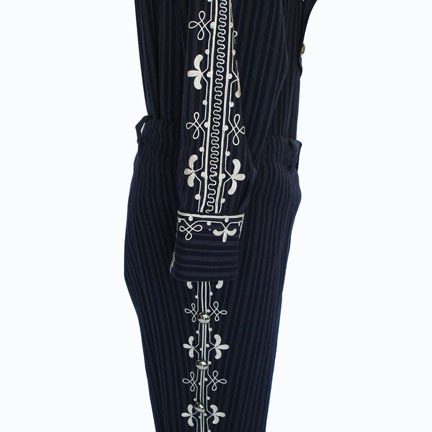 suit is decorated with silver braiding and applique with matching double breasted tunic buttons. 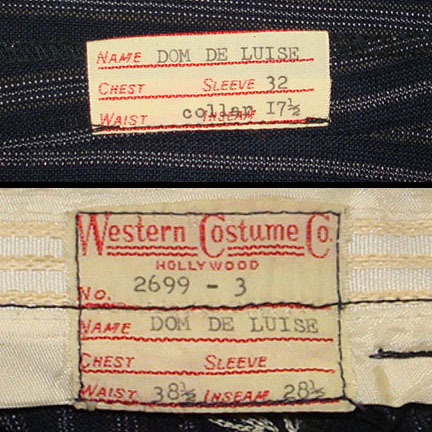 Mr. DeLuise wore this outfit in several notable scenes throughout the film and also appeared wearing the costume in a promotional image for the film. 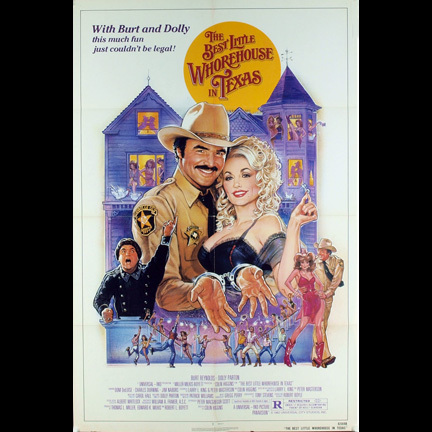 “The Best Little Whorehouse in Texas,” starring Dolly Parton and Burt Reynolds, was nominated for an Academy Award and two Golden Globe Awards, including a “Best Motion Picture – Comedy/Musical” in 1983. 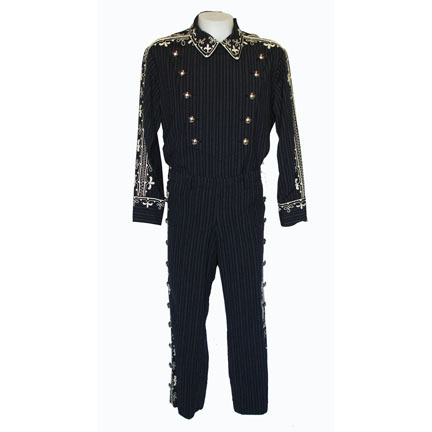 The outfit is in excellent screen worn condition and is accompanied by a letter of authenticity from the costume house. 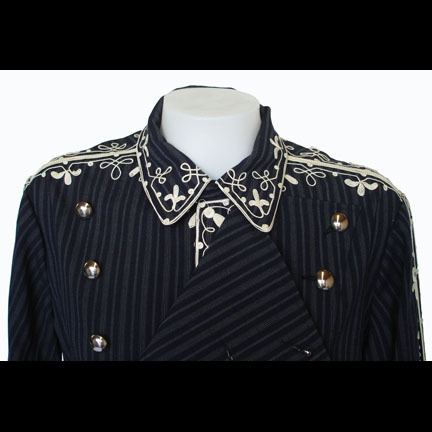 Presented by The Golden Closet, your premier source for iconic screen used movie wardrobe, props, and music entertainment memorabilia.